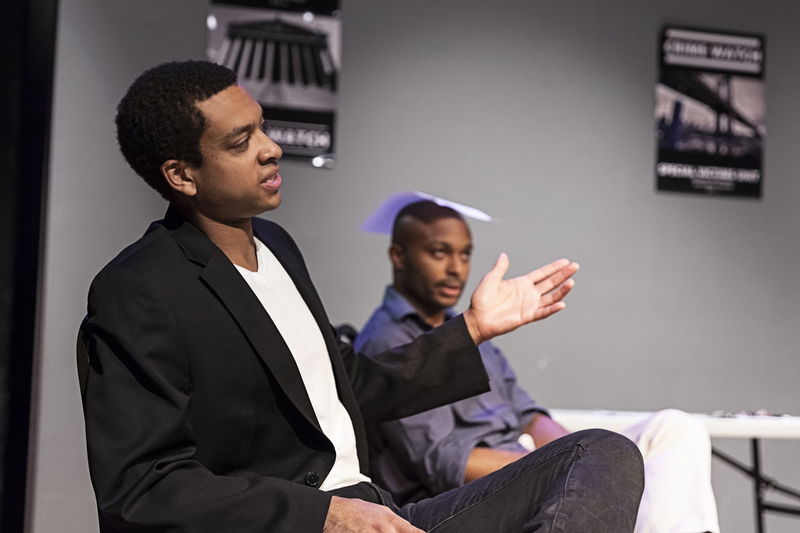 Room 4, a new satire about black stereotypes in entertainment, has been extended through December 4 at the PIT after a successful run this fall. 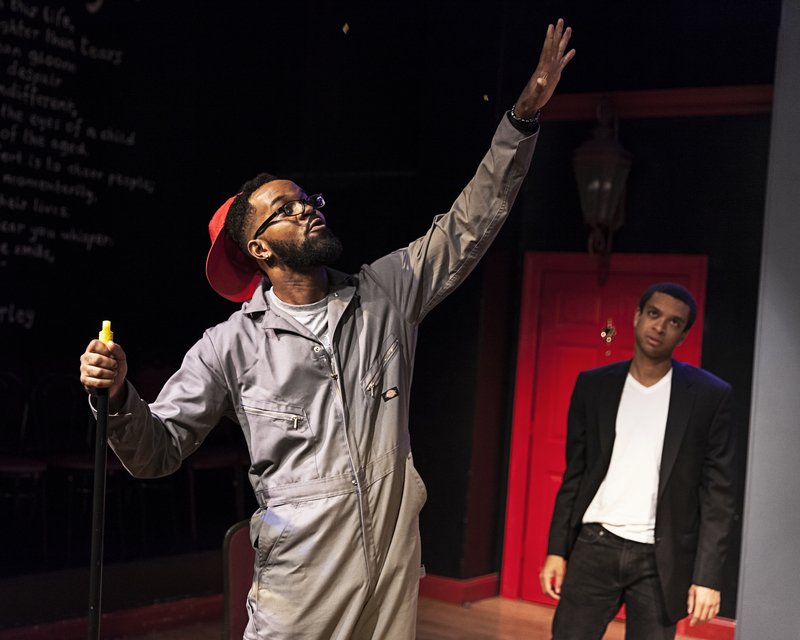 Described as a mix of Groundhog Day, Waiting for Godot, and A Chorus Line, this comedy follows four black actors as they audition for the same role as an anonymous drug dealer’s friend in a certain prime-time crime drama. Unfortunately, this time, it doesn’t just feel like the same role, but it is the same role. The four actors are stuck in a time loop, and they will have to work together to break out of it. To celebrate their extension at the PIT, I will be sharing more interviews with the show’s talented cast and their insights about comedy, race, and their experiences in real-life audition rooms. Tell me a little bit about yourself, how you got into acting and how you ended up in New York City. I moved up here to New York about five years ago this month. I was focused on writing and then I eventually started to take improv classes at the Upright Citizens Brigade. That’s how I evolved into wanting to do the acting thing. Is there comedy in there too because of the fact that you got into Upright Citizens Brigade? Absolutely, yeah. I focused a lot on comedy writing and comedy acting from those classes. I wanted to focus more on the comedy side of acting and writing. And how did you come to be in Room 4? I actually, the first time I met Nicco and Marina, it was a sketch competition, and my sketch team was against their sketch team. From there, I hadn’t heard from them in a while, and I guess there was this email about needing actors for Room 4, and that’s how I got back in touch with them. Could you tell a little bit about the show and what your role is in the show? 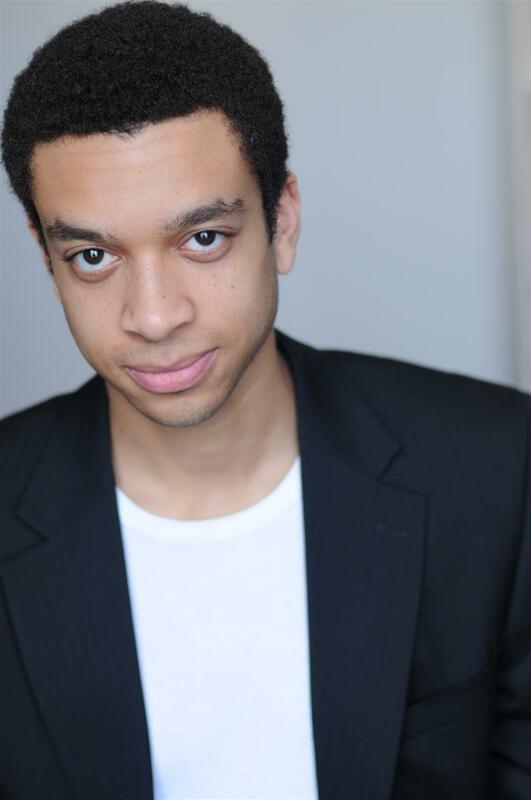 Yeah, I play one of the four actors, Charles, who is very in his own head, maybe a little egotistical. He’s still trying to figure it out, but there’s just parts in the play where his vulnerability comes out because everyone kind of turns – not so much turns against him but calls him out on his blackness so to speak. That’s a big arc for his character in the play, and it comes to a point where they join forces to get out of the loop and get out of this predicament. In your experience in New York, have you had a lot of casting experiences like the one in Room 4? What was it like working with Marina and Nicco on this project? Oh, it was great. I was glad to reconnect with them, mainly because the script for me was really good. It was really funny. They did a really good job writing it, and the way that they’ve wrote this together has been incredible, and it’s actually helped me as an actor because I focus so much on my comedy acting. It’s a big difference because I do a lot of sketch, and this play has helped me kind of evolve more into not so much a serious actor but taking it more professionally. I appreciate them for that. So you didn’t do a whole lot of more serious acting before this? With UCB, that was my first acting class, and then eventually, I started taking acting classes from professional acting coaches and whatnot. During the rehearsal process, did you find that your character changed very much during the process or did you have any realizations about your character as you were working on it? Not a whole lot, no. I will say with my take on the character, I tried to add those changes, those arcs for him because when I first read it, he doesn’t really come off as egotistical to himself, so I brought that. I wanted to bring that because he has such a big turn towards the end of the play. I wanted to give them some sort of arc, so I think those changes came from within my developing acting skills. And what do you hope that audiences take away from Room 4? I mean, at the end of the day, it’s all about inclusion. Why can’t we do what everyone else does? That’s all we want to be is included, and I think that’s the biggest take-away from it because it is – I don’t know what it is about this year, but the problem is being noticed a lot more, and people are being a lot more vocal about it, especially on social media, so I think – and I hope – that this play just flat-out says we want to be included. That’s it. Yeah, or even something like Master of None. That whole episode about the casting notice. Yes, it’s such – I love that show a lot because it deals with the same issue but a different group of people that are going through the exact same stuff. It’s a great voice because it’s a different take on a situation. It’s like a different voice, different group of people who are going through it also. The Asian community, the black community, the Latino community – we’re all going through it, and it’s great for shows like Room 4 and Master of None to call it out in a very creative way because that’s my biggest take-away from it. It is a very serious issue in the casting world, but it’s funny also. I think comedy sometimes helps people bring down their defenses. Absolutely, absolutely. There are parts in the play where it is funny, and there are parts where it’s like, oh, should I be laughing? And then it’s like, oh, I get it. Something to laugh about but also act upon it. Do you have any other projects coming up or anything else that you’d like to plug that you’re working on? I actually got into SOLOCOM here at the Peoples Improv Theatre, so I’ll be doing a show there. (Link to Tristan’s show here!) That is the weekend before Thanksgiving at the Peoples Improv Theatre. Thank you again so much for taking the time. It’s been a pleasure to talk with you. Tickets are on sale now for Room 4 and can be purchased online here at ThePIT-NYC.com or in-person at the PIT, located at 123 E 24th St. For other questions or assistance with ticket purchases, call the PIT at 212-563-7488.